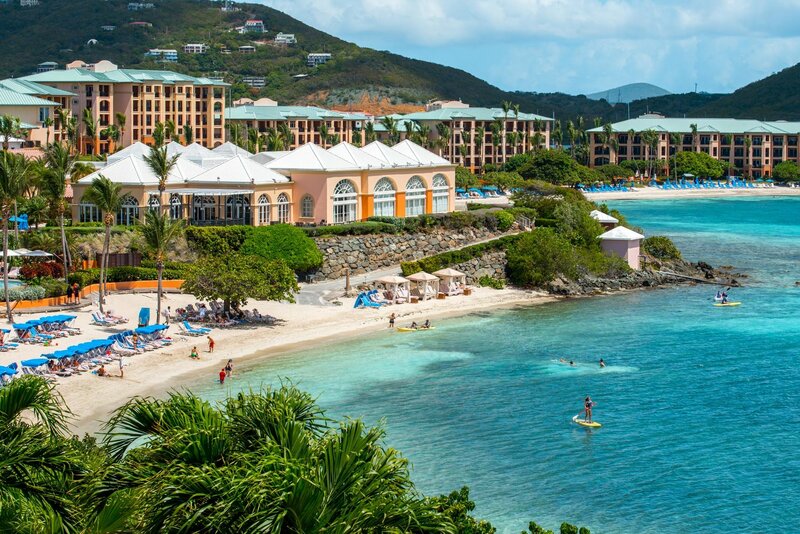 Sure, St. Thomas is paradise – but if you choose the wrong hotel in St. Thomas – you’re vacation is toast. So go ahead and read the hundreds of contradictory reviews, look at pictures of the resorts and trust the recommendation of someone that visited St. Thomas 20 years ago. Your vacation is still at risk. That is…unless you choose one of the resorts discussed below. 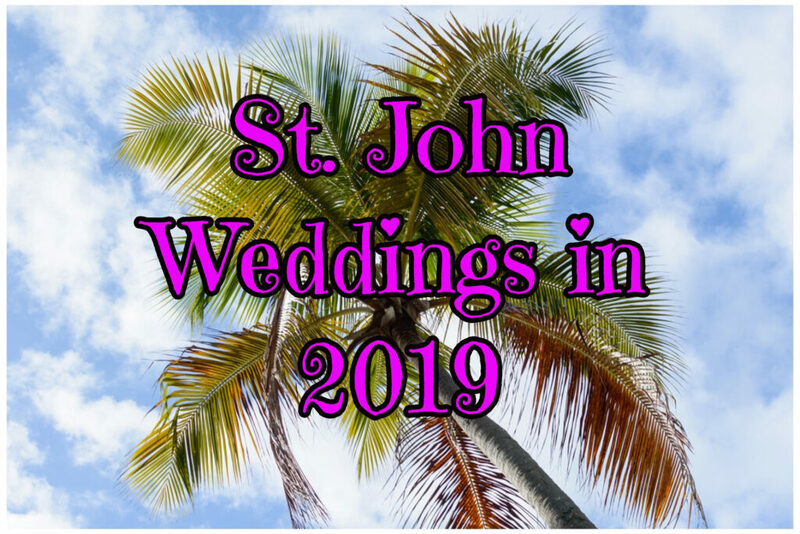 In this post I’m going to show you the only resorts you should consider staying at while on vacation in St. Thomas. A quick note: I’m only discussing hotel resorts in St. Thomas. When I get around to it, I’ll also write a guide to the best condo resorts. At the end of the post, I’ll share a few of my favorites. So by resort I mean – they have a lobby, towels by the pool and they clean your room every morning. 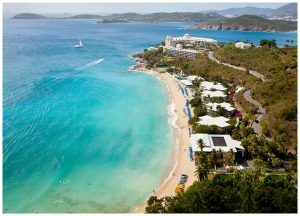 What are the 4 Best Hotels in St. Thomas? Insider’s Tip: St. Thomas is a small island. There are a limited number of resorts and therefore a limited number of rooms available. As those rooms get booked up the prices go up. So always book your hotel sooner rather than later to ensure the best rates and deals. 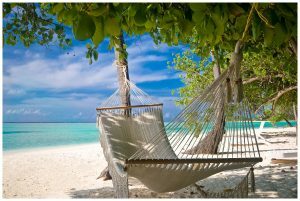 Those words best describe a stay at the Marriott Frenchman’s Reef. They have everything. You don’t need to leave the resort for anything. The beach is not a white sand beach. It falls in the light brown spectrum. But who’s complaining. The beach is large enough that while it can get crowded you can always find a little space away from children/drunks/people. The water can be rough at times so it isn’t always the clearest but on a good day, there is some decent snorkeling on the far left and far right ends of the beach. The beach is also long enough if you want to run or walk a few miles without have to turn around every 2 minutes. I’m guessing it’s about .4 mile long. I’ll be sure to get out my gps next time for a more accurate reading. There’s a watersports shack with kayaks and snorkel gear. All the gear is “free” which means you’ve actually paid for it in the fun line item known as “resort fee”. Just steps from the sand is a swimming pool, tennis court, restaurants, and bar. Beach chairs are plentiful…so no need to wake up at 4:30 am just to secure a spot on the beach. And there really isn’t a bad spot on the beach. 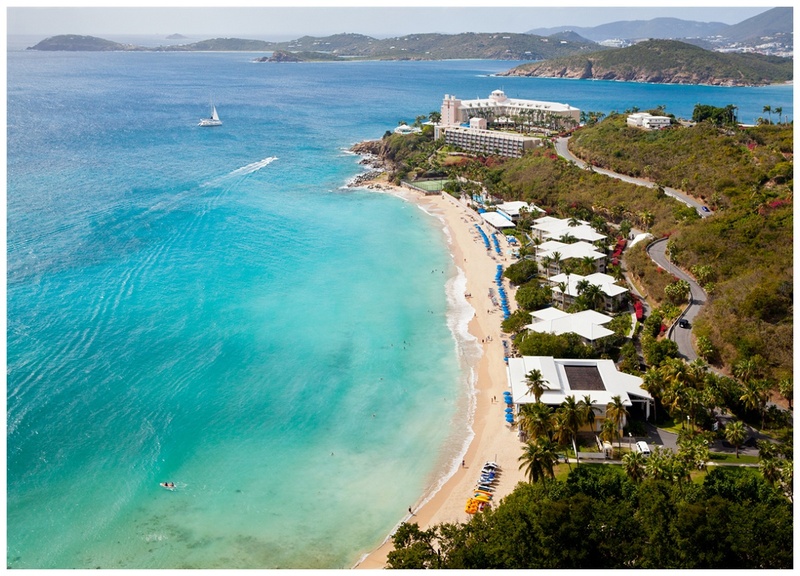 Here’s a well guarded secret: All beaches on St. Thomas are public. 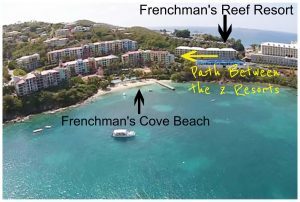 And right next door to the Marriott Frenchman’s Reef sits the Marriott Frenchman’s Cove. The Cove is actually the ownership (timeshare) side of the resort. But the two resorts are connected by a little walkway. So you can walk right over to the Cove’s beach. The beach is small but the water is super calm since it’s in a protective cove. The snorkeling is also a lot better. And sometimes they even have floating trampolines in the water. There is even another restaurant at the Cove and they often have live music. But please be aware, the beach chairs, towels and watersports are for owners only, so take your own chair and towel if you plan on heading over. There is Aqua Terra which offers a buffet for some meals or a menu. For holidays (Christmas, Thanksgiving, Mother’s Day and a few others) the buffet is amazing! Sunset Grill is an outdoor venue just above the swimming pool. Breakfast or sunset is glorious and has otherworldly views of the Caribbean Sea. Coco Joe’s is a casual sit down restaurant on the beach. Grab lunch or dinner. The Sand Bar is a trendy bar and tapas eatery on just off the beach. While you can swing by in a swimsuit, you can do just as well wearing some of that island chic wardrobe you brought. Havana Blue is just upstairs from The Sand Bar. O.M.G. I love this place. Very trendy. Very delicious. (Very expensive). Treat yourself at least one night and do yourself a favor – don’t look at the prices. Concierge/Excursion Desk – known as “The Adventure Center”, right in the lobby is a full-service tour and excursion concierge. You can book dinner cruises, deep sea fishing charters, night kayak tours and plenty of other activities. The activities are separate from the hotel but most of the operators are pretty excellent. All of the excursions start and end right at the resort…so super easy to incorporate into your trip. Ferry – there’s a little boat that will take you on a 10 minute ferry ride to downtown Charlotte Amalie. If you aren’t a fan of boats, this may still be doable since even my mom, who gets seasick when looking at an aquarium, can ride this. It’s a leisurely and fun way to get into town. The cost is $17/person roundtrip. Movies/games/ice cream socials – so my wife, 2 daughters, 1 son and I love the Marriott. We’ve stayed many a night at the hotel to just get away from home. My kids are young (all under 5). One of their favorite things to do is run around in the ballrooms. The ballrooms are huge, carpeted playgrounds. We’ve set up obstacle courses, played hide and seek and just had a great time in the ballrooms. But the hotel also offers planned activities throughout the week for kids. They have kid-friendly movies, games and even ice cream socials. So whether it’s raining or you just need to nurse your sunburn a little bit, there’s plenty for the little ones to do indoors. Spa/salon (Lazule) – I don’t know who actually goes to a salon on vacation…who knows, maybe I’ve been missing out all these years. And at the ripe old age of 41, I’ve never had a massage in my life. But if you like to be pampered, Lazule is there to help. One cool thing is that there is a private splash pool if you get serviced at the salon. Exercise room – I am pretty impressed with the exercise room. Plenty of treadmills, ellipticals and bikes mean you’ll never have to wait. They also have a fair number of dumbbells and exercise machines. I only wish it had views of the ocean. 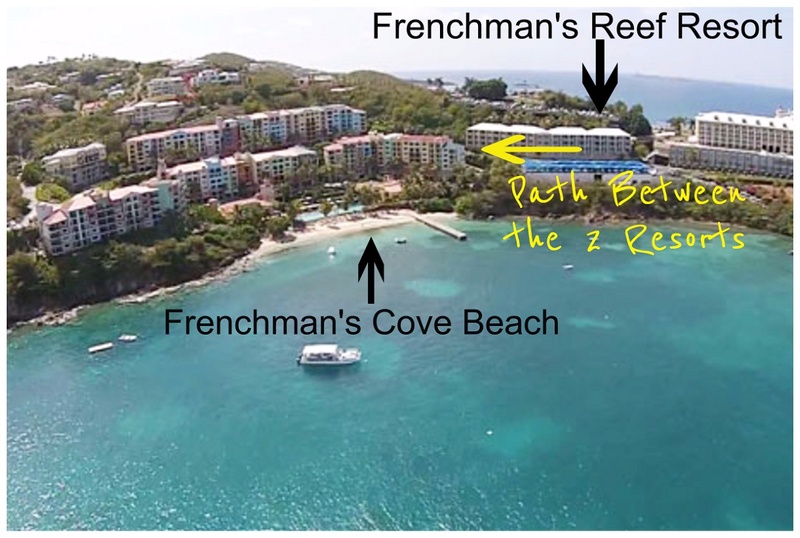 Marriott Frenchman’s Reef is located on the south side of St. Thomas. It’s about 3 minutes from the shops/bars/restaurants at Havensight. And about 6 minutes from downtown Charlotte Amalie. If you want to check out another beach and a great restaurant, Limetree beach is about 6-7 minutes away from the Marriott. It sits on a small resort but it tends to be a bit quieter. The restaurant, just steps from the water is called Lanai and is similar to Coco Joe’s although Lanai is a bit more lively and fun. For those adventurous souls that like to walk to place, please know that the location is not pedestrian friendly. Once you leave the resort, the roads are hilly and a bit treacherous. If you like to explore the island, you’ll want to either rent a car or rely on taxis. Taxis are super convenient and always at the ready at the hotel. If you only plan on leaving the island a few times, taxis are the way to go. If you plan on getting off the resort often, rent a car. There is free parking at the hotel. To stay in an island view vs. ocean view. The resort does charge more for the good views. I swear my opinion on this point changes every time. On the one hand, I don’t think I ever spent much time sitting on my balcony when at the hotel. But the views are pretty amazing and it’s nice to look out over the ocean and watch the cruise ships come in. On the other hand, I’m seldom in my room and figure I can save a few hundred bucks over the course of a week. So I leave it to you. Pay a little extra and enjoy the view or face the island and use the money to have that amazing dinner at Havana Blue. I checked the rates for The Marriott Frenchman’s Reef for 3 different times of year (and these rates are changing constantly but hopefully they give you an idea of what kind of budget this fits in). Not looking for a mega resort? A couple of bays over from the Marriott is another hotel in St. Thomas destined to make your friends back home jealous of your Facebook posts. The resort is probably a fifth of the size of the Marriott but it still has everything you’d look for in a resort – nice beach, water activities, restaurants and frozen drinks. There are only 74 rooms at Bolongo so they go fast! Bolongo is a place where the hotel staff will get to know and welcome you by name after a day or two…in a non-creepy way. Bolongo offers food and drink packages for an all-inclusive experience. The beach is smallish but adequate for the size of the resort. Which is to say, there’s plenty of room to spread out and enjoy your slice of heaven without feeling overrun by the other guests. Bolongo’s beach is sprinkled with beach chairs and beach umbrellas. The bay itself produces relatively calm water so you can plan on getting some snorkeling in. The sea life isn’t necessarily abundant but you can get your fix. A watersports shack on the beach rents all manner of floating devices and a dive shop rents snorkel gear. Only about half the beach provides sandy bottom water access, the other half is rock and reef. The views from the beach are of Buck Island and the Caribbean Sea. Iggies. That should be all I have to say. If you’re unfamiliar, Iggies Beach Bar has been an institution on St. Thomas for decades. This bar/restaurant seems to be one with the beach. This open air spot is a destination in and of itself. It’s salty wood floor is like the deck of an old ship. Every time I walk into this place I feel like this is the way St. Thomas was 50 years ago. How’s the food? I think it’s pretty good. But I’m always to busy daydreaming and soaking in the scene to really taste anything. Lobster Grille is the “other” restaurant on resort. I always feel bad for this little, neglected step-child of a hotel restaurant. I mean, you’ll probably eat there a few times, maybe for breakfast and an occasional lunch. But even while you’re eating at the Grille, you’ll be thinking and lusting about Iggies. Just off the beach, and a 30 second walk from Bolongo is Mim’s. Mim’s is one of those places you hear about from some old taxi driver that has been recommending Mim’s for 3 decades. You might also find it an old guide book you picked up at a library sale for .25 cents. Mim’s is a wonderfully small seafood joint. Great food and great views, this is where you go when you want to get a little classy on your trip. Bolongo might not be a big honking resort, but there’s still plenty to do. One of the best dive shops in the Caribbean calls Bolongo home. Check out St. Thomas Dive Club. Tell Doug, the guy running the place, that Island Mike sent you. He’ll take good care of you. Heavenly Days is the resort boat. This big beautiful boat runs day sails, sunset sails, snorkel sails etc. right from the beach. They’ll take you to Turtle Cove where you can snorkel with sea turtles. For the kiddies, there’s a pool and the beach. What more do they need. If you have any desire for sport, Bolongo has a great sand volleyball court. You can also take a guided jet ski tour. I took the tour before. I wasn’t thrilled with the idea of a guided tour but couldn’t complain once I got on the water and zipped around some the islands and bay of the area. Awesome time. On the south side of the island, Bolongo is not in walking distance to any point of interest. So jump on a taxi and you’re 10 minutes from Red Hook – a restaurant/bar/nightlife mecca. Or, maybe try grabbing a taxi to Abi Beach Bar. Nothing different – just another bar on another beach. Again, if you like to explore, rent a car and have the whole island as your playground. Looking for a luxury hotel in St. Thomas? Then the Ritz has you covered. The Ritz is awesome. That is if you’re looking for insanely good service and accommodations. I’ve stayed here numerous times and definitely enjoy being pampered. But you’ll have to dig deep into your heart and decide whether you deserve this level of luxury on your St. Thomas vacation. Not the Ritz’s strong point. The beach isn’t very big. But cabanas, monster umbrellas and comfortable beach chairs still make a beach day pretty amazing. I mean, it’s the Ritz, you’re there to relax. And you’d be hard pressed to find a beach that can boast better breezes sweeping into the bay. Seriously, you haven’t lived until you’ve been lulled to sleep by these Caribbean winds. The bay is relatively calm so if you head out a little ways off the shore you can find some decent snorkeling. The views from the beach are unparalleled. Islands and bays dot the landscape with St. John looming large from what seems like a short swim away. A seriously strong point for the Ritz here. If food is on your hierarchy of important factors in deciding your hotel, then the Ritz should rein supreme. Author’s note: I am not a food critic. Furthermore, I have no idea how to describe food other than “good”, “amazing”, “really good”, so I am going to borrow gratuitously (steal) from the Ritz’s website to describe the food. Bluewater is island chic with a decidedly sophisticated dining experience. Translation: It’s fancy, expensive and delicious. Essenza provides the essence of Italy with handcrafted, authentic and exquisitely prepared Italian dishes. Translation: Dress up because this isn’t Olive Garden. Coconut Cove is casual and relaxed beach front dining. Translation: Even uncultured people like myself can enjoy the Ritz. And finally, Sails which I can describe simply as, a great spot to grab a beer and burger when you get hungry on the beach. Watersports are a bit different at the Ritz. As I mentioned, you can snorkel and relax on the beach. But sailing is the activity de jour. The winds are ideal for sailing. You can take a course on sailing or rent a Hobie Cat. These little catamarans require almost no experience and they can really fly! Another idea is to grab a kayak and some snorkel gear and go looking for some cool snorkel spots. A massage or spa experience is always an option. The brand new/newly remodeled Infinity pool is a marvel. Moored right off shore is the grand Lady Lynsey. This beauty is a 53-foot catamaran offering all manner of sailing excursions. Sail to the British Virgin Islands or around St. John. Pretty sweet. There’s plenty of green space for the kids to run around, and toys/games are also available to occupy the little buggers. My wife and I just hosted my daughter’s 3 year birthday party at Zest. Zest is an ice cream shop on resort. (Just to give you an idea, I had vanilla with warm marshmallow topping, then topped with warm caramel and finally topped with crumbled Reese’s Pieces.) Anyhow, the point being is you can have some fun building your own ice cream creation. The Ritz is about a 5 minute ride from Red Hook and all the night life you could want. And Red Hook also happens to be where the ferry dock is for the ferry to St. John. So getting around is pretty easy. A short walk, if you so choose, is another beach the Elysian resort…again all beaches are public so you can take advantage of another stretch of sand. There’s also a couple restaurants on the beach at the Elysian. 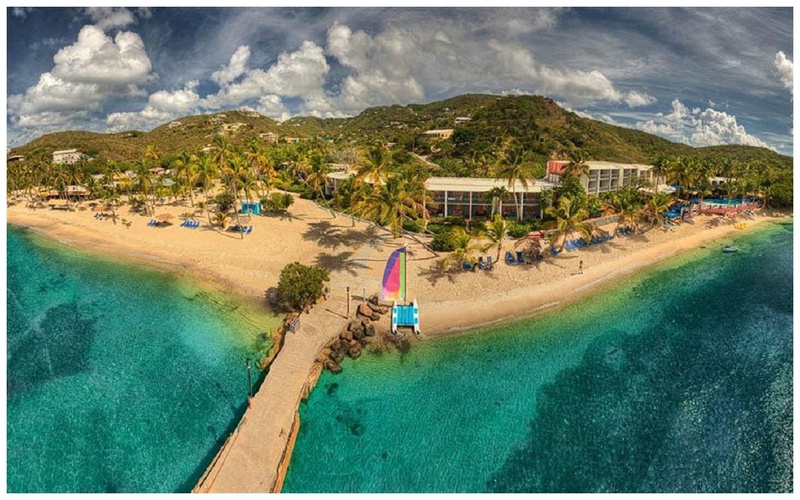 I can hear the comments from the haters already…how can you put Emerald Beach Resort as one of the best hotels in St. Thomas? Well to those haters, I say, au contrer morfrer (sic). What makes a good resort a good resort? Does the décor in your room matter that much? How about whether the shower has 12 different shower heads to hit you from every angle? Emerald sits on one of the prettiest bays in St. Thomas. The sand is fine. The water smooth. Oh, and their frozen drinks are frozen. 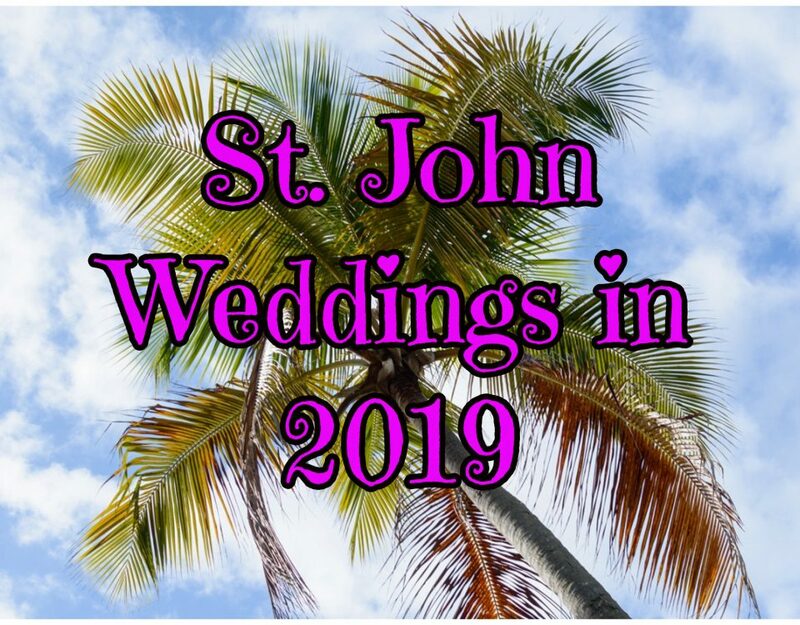 Emerald is included on this list also because it can be considered a “budget option” for enjoying St. Thomas. It is the most reasonably priced of the bunch but still gives you a taste of the good life. Emerald Bay is a relatively long beach when compared to other spots. The sand is powdery fine. Because of the size of the bay the water is calm and clear. The sand gently slopes so there’s plenty of room to play before the water gets deep. 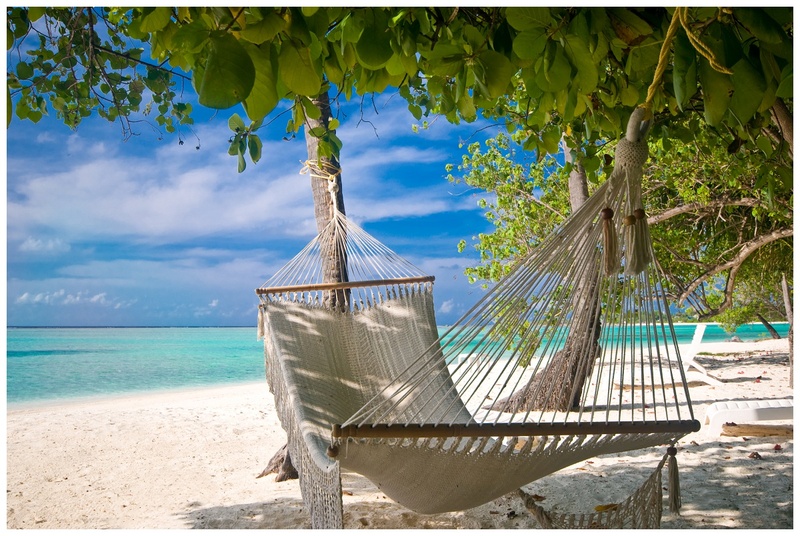 The resort provides beach chairs and for the true sand warriors, several large thatched umbrellas. The few times I’ve stayed here I was able to wake up early and enjoy a morning jog along the calm surf. And my mother in law loves walking about waist deep in the water, which you can do almost the entire length of the beach. There is exactly 1 restaurant and 1 bar on the resort. After a week of eating here, you may start to crave a little variety, but the restaurant mixes up the menu often enough to keep you guessing. The bar is classic Caribbean – just steps from the water where the breezes hit you broadside. I used to work with an old attorney that had been on island for 30 years. It didn’t matter the Saturday, you could always find Lofton having his frozen bushwackers at his favorite stool. This place really sinks into your bones. Right next door is a small boutique hotel called Island Beachcomber. They have a small restaurant and bar if you want a change of scenery. The ubiquitous watersports shack at Emerald Beach has kayaks and paddle boats to explore the bay. Although I once tried one of the paddle boats and seriously, I don’t understand how anyone can get anywhere in those things. Your calves and hamstrings are on fire after about 5 minutes of paddling. As of the writing of this article, Emerald is, I believe, the only spot on island where you can go flyboarding. If you don’t know, it’s where they strap some boots on you and water shoots out the bottom and you basically fly over the water. I’ve never tried it, but it looks awesome. Emerald doesn’t offer a ton of extras besides the beach activities. But they do have a pretty pool. I did hear someone mention an exercise room before. But who’s really coming to St. Thomas to spend time on a treadmill. There’s also an excursion desk where you can book boat trips, scuba diving and other activities. Please Read This: Emerald Beach Resort is situated exactly 956 feet from the airport. Literally right across the street you can see and hear the jets take off and land. Here’s what I can say about that – we don’t have a ton of big jet traffic. And they stop flying in the late afternoon. And quite frankly, you don’t really notice them that much so they won’t wake you if you are taking a mid-afternoon nap. It’s proximity to the airport at least makes the whole transportation thing easy. You can walk the 5 minutes from the airport to the hotel. There’s not much around the resort so you’ll want to rent a car to explore or grab a taxi…and there are always taxis waiting outside the resort. As mentioned earlier, St. Thomas doesn’t offer a ton of budget hotel options. And there are definitely cheaper places to stay on St. Thomas than Emerald. But for the money, this is a fun little resort with all you need to escape reality. And there you have it. There are other hotels in St. Thomas. But for my money, these are the best.